GRAND PRIZE STEM @ Root Raffle Winners announced on STEM FRIDAY!!!! Congratulations to our 19* Grand Prize winners! The above winners get to go on a field trip on a "real Magic School Bus" with our very own Ms T as Ms Frizzle to the downtown Krispy Kreme. Students will get to learn the inner workings of how the doughnuts are made, as well as their nutritional value. On the drive over to KK, winners will learn about distance and miles per hour! It is going to be STEM fun through and through! 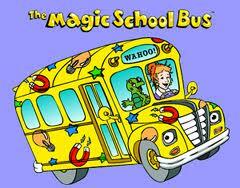 **The 2 winners of the pre-K grand prize will NOT ride on the Magic School Bus with the other students. Instead, the students will get to visit the Magic School Bus when it returns from the field trip. The 2 students will also receive KK doughnuts to deliver/share with their classes on the day of the field trip (TBD). All students are eligible to enter the STEM @ Root Raffle, which will be held on STEM Friday, April 20th. A total of 16 students will be drawn to win the STEM @ Root GRAND PRIZE. The GRAND PRIZE will be announced at the STEM @ Root Rally on April 13th! All students that complete a STEM Fair @ Root project on April 19th will have an additional chance to win the GRAND PRIZE in a separate drawing. 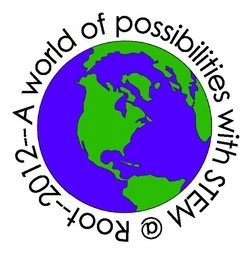 A total of 2 students will be drawn from the STEM Fair @ Root raffle. All students that attend the STEM Family Night @ Root will have an additional chance to win the GRAND PRIZE in a separate drawing. A total of 2 students will be drawn from the STEM Family Night @ Root raffle. Because EVERY student will participate in some kind of STEM @ Root activity, 2 students from every K-5 grade (12 students total) will be drawn from the STEM Friday raffle!